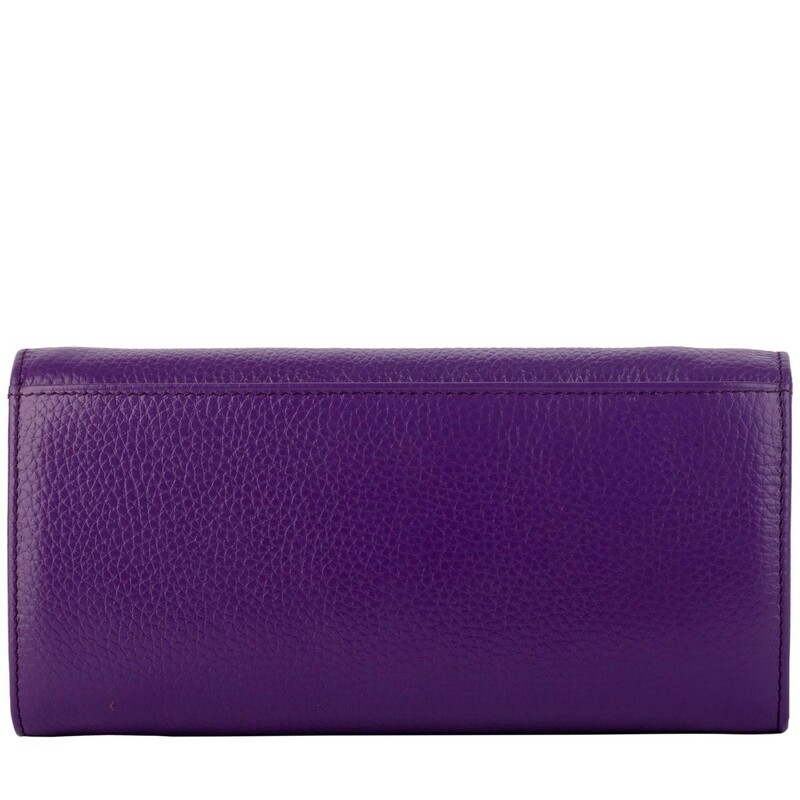 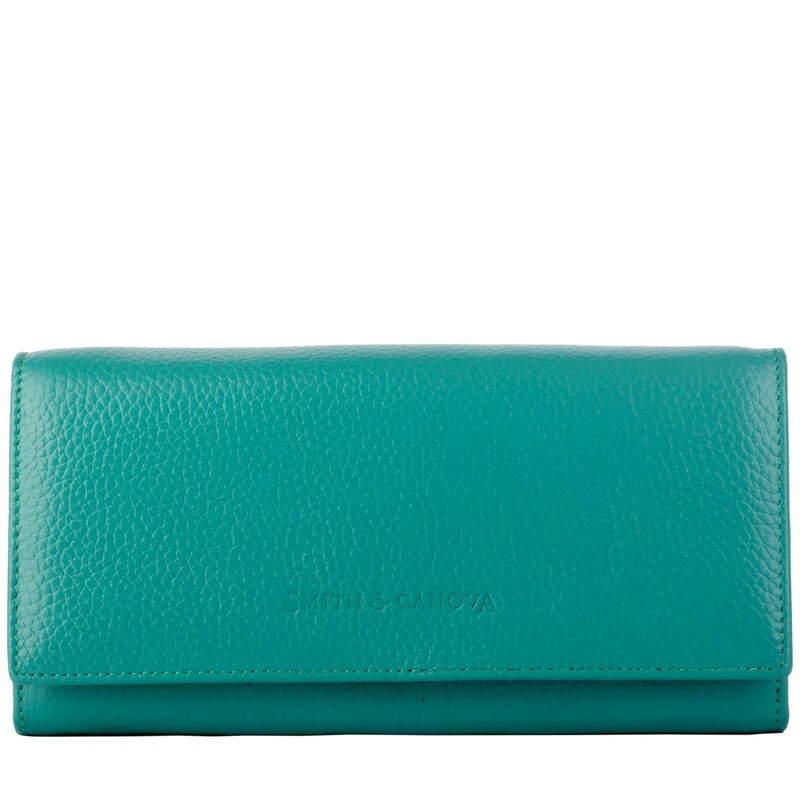 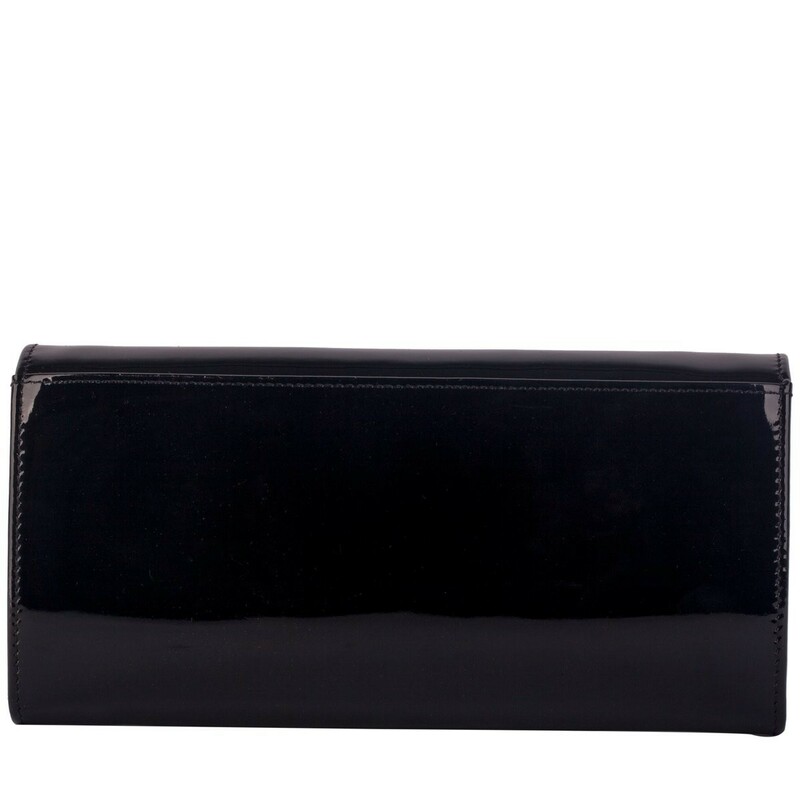 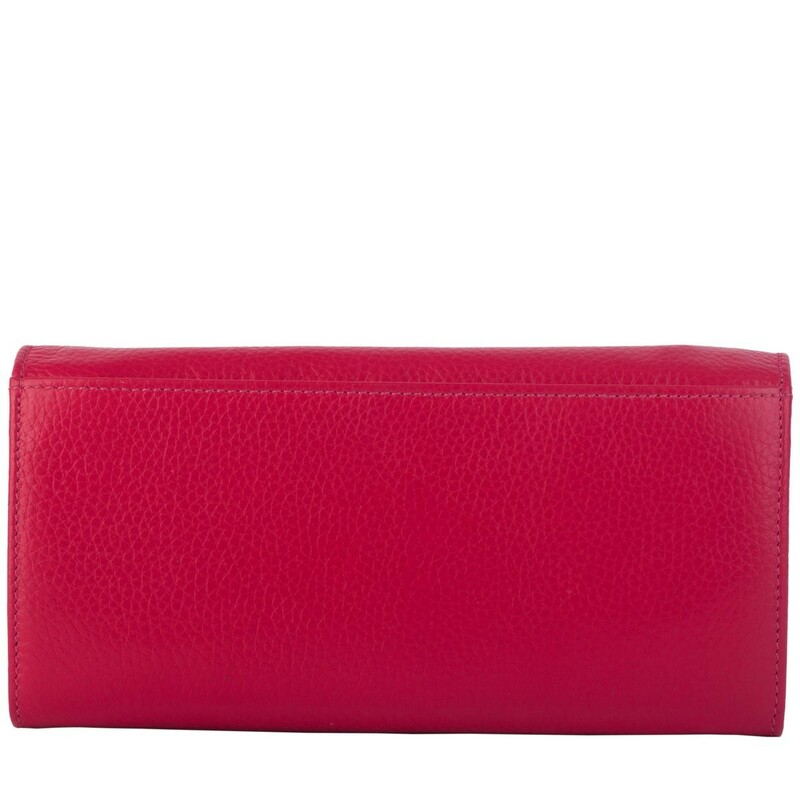 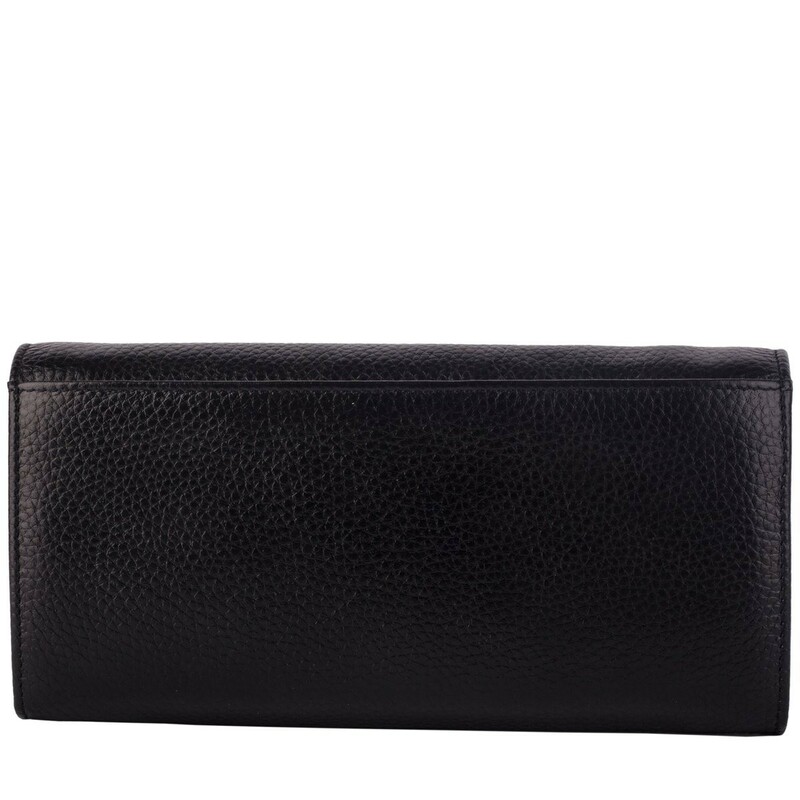 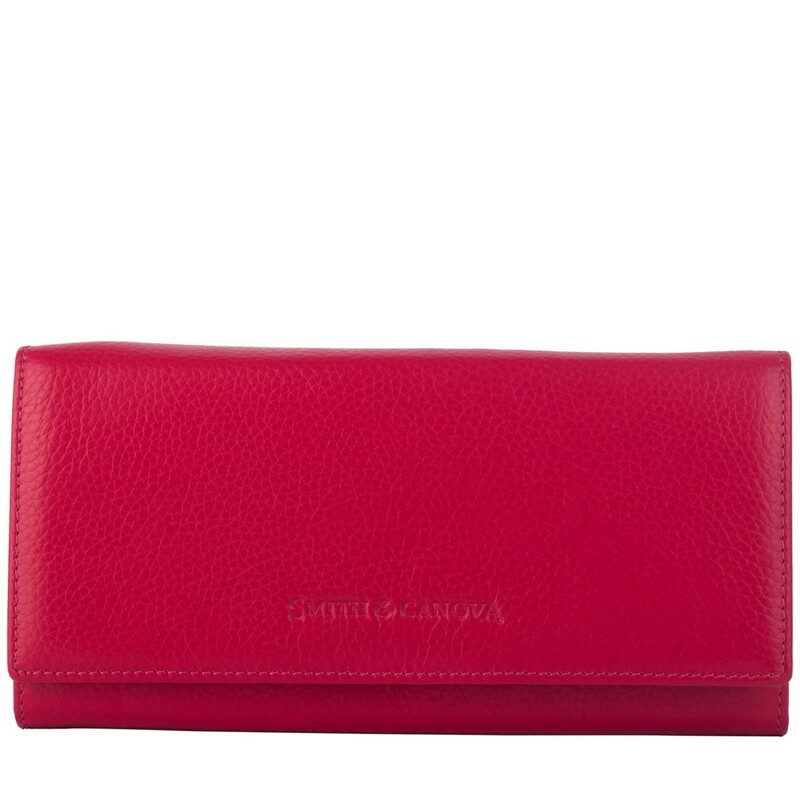 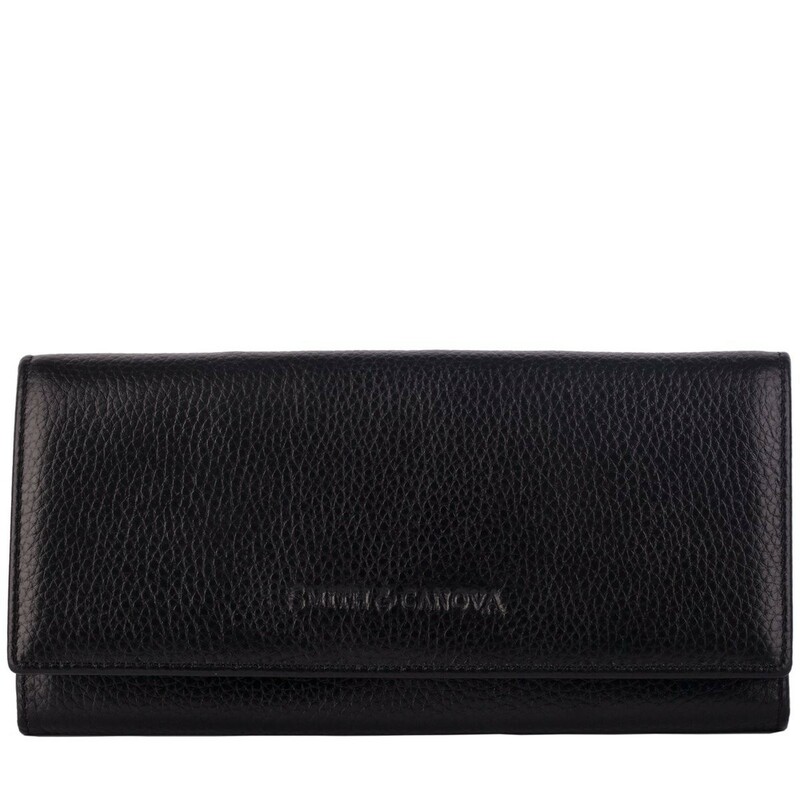 A classic flap over purse in grain leather with snap fastening and kissing lock change section. 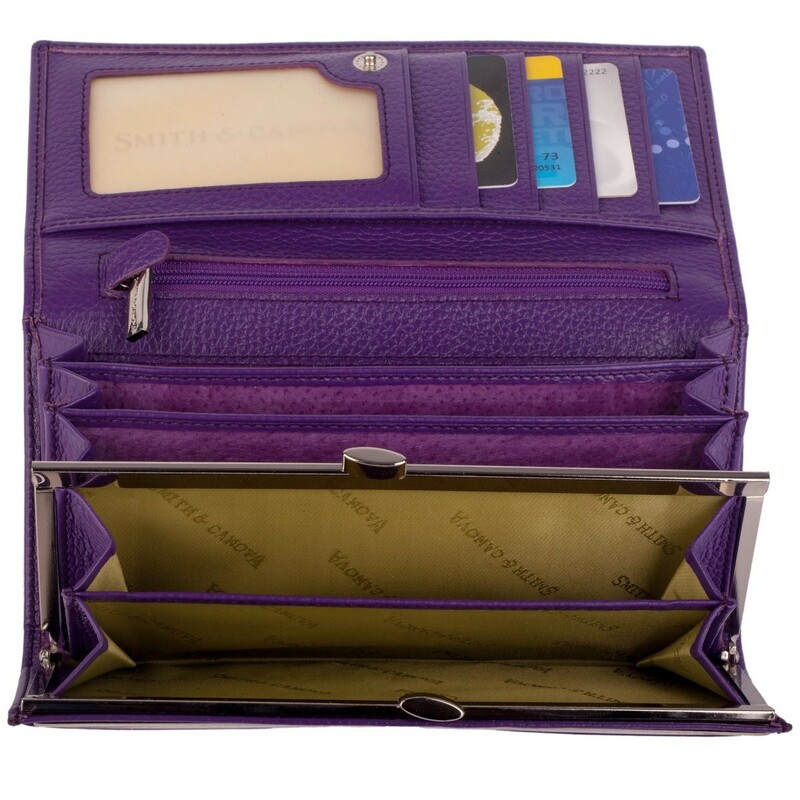 Multi card slots to hold all your credit cards. 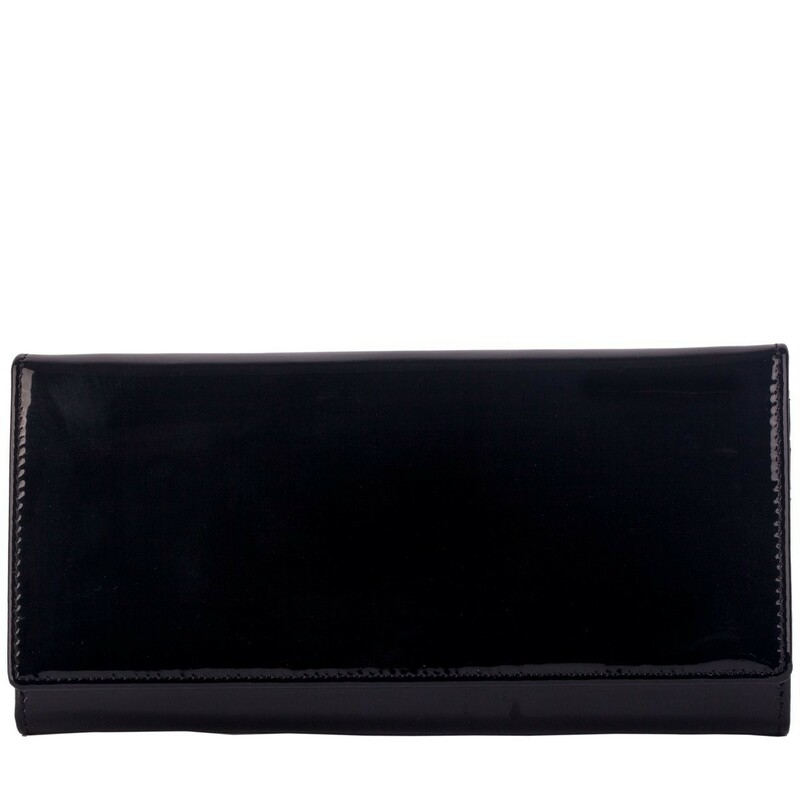 Three further internal pockets for noted and receipts, plus a central zip pocket. 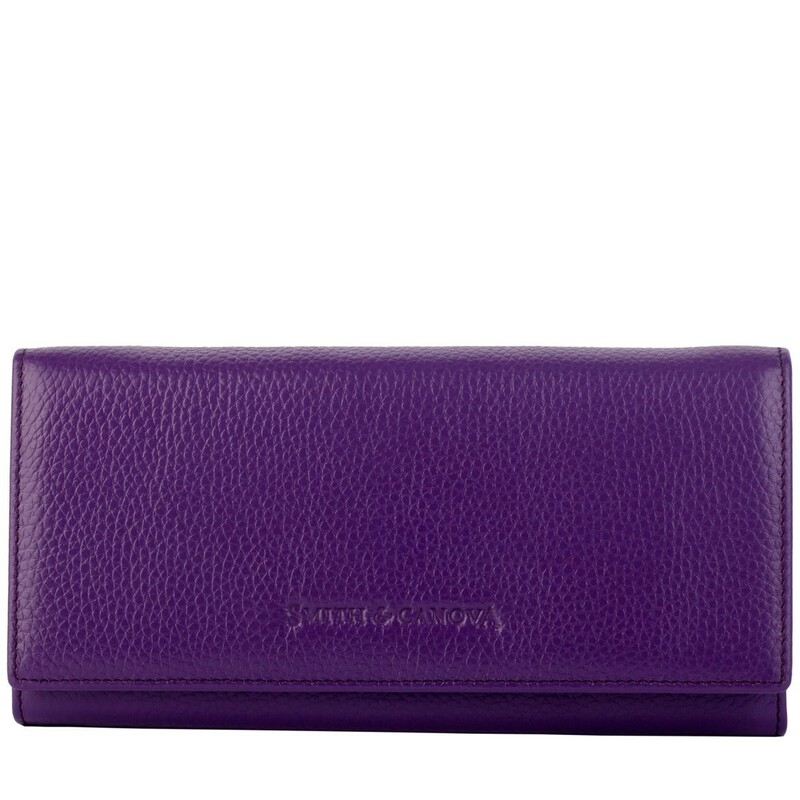 Finished off with a subtle embossed logo.